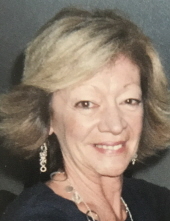 Catherine Ann (Leary) VanDenBerghe, age 71, passed away surrounded by the comfort of her loving family on Saturday, January 19, 2019 at the Care Dimensions Hospice House in Lincoln. She was the daughter of the late Walter and Elinore (Bowker) Leary and wife of the late Mark H. VanDenBerghe. Catherine was born on November 27, 1947 in Milford. She was a graduate of Suffolk University. Catherine was employed as a school teacher in North Attleboro for 30 years. She married her late husband Mark at St. Mary’s Church in Foxborough on August 22, 1970. First and foremost, Catherine was a loving and devoted wife and mother. She most enjoyed spending time with her family on Cape Cod and in Florida. She was an avid reader and enthusiastic Patriots fan. She was a compassionate listener and friend to many. She was generous and thoughtful and always looked for ways to help and support others. Devoted mother of Brian VanDenBerghe of Winthrop and Karen VanDenBerghe of Orlando, FL. Survived by her sister Marcia (Leary) Roche and her husband Paul Roche of Cumberland, RI. Also survived by many loving nieces and nephews. Relatives and friends are kindly invited to attend calling hours on Tuesday, January 22 from 4 to 8 PM at the Roberts and Sons Funeral Home, 30 South Street, Foxborough. A Funeral Mass will be celebrated at 10 AM on Wednesday at St. Mary’s Church, 58 Carpenter Street, Foxborough. For additional information please contact 508 543-5471. To send an on-line condolence please visit the funeral home web site at www.robertsandsonsfuneralhome.com. In lieu of flowers, donations in Catherine’s memory may be made to The Alzheimer's Association, 480 Pleasant Street, Watertown, MA 02472. "Email Address" would like to share the life celebration of Catherine VanDenBerghe. Click on the "link" to go to share a favorite memory or leave a condolence message for the family.